The best scene in The Heat is also the most daring. A man begins choking in the restaurant our hero cops happen to be eating in, and they must save him. When the Heimlich manoeuvre fails, one of our heroes slits his throat with a kitchen knife and jams a straw in the wound in an attempt to perform an emergency tracheotomy. Blood spurts everywhere, the characters react with horror and confusion. It's gory, it's gross and most importantly, it's funny. It also has no relation to anything that comes before or after, a symptom of a film that's a series of variably funny sketches rather than a compelling narrative. The Heat is a mismatched buddy-cop film. 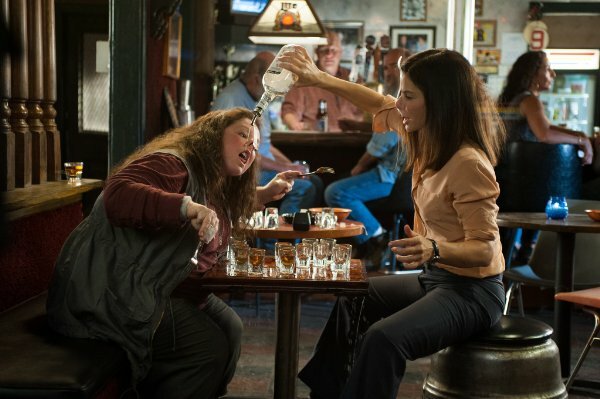 Straight-laced, ultra-competent and super-serious FBI Agent Ashburn (Sandra Bullock) is, through an unlikely set of circumstances, paired with foul-mouthed, loose cannon cop Mullins (Melissa McCarthy). Initially the two bristle, Ashburn finding Mullins totally unprofessional and egotistical, and Mullins finding Ashburn stuck-up and priggish. Can they learn to work together? Will they realise each other's methods have their benefits? Might they end up as an unlikely set of best friends, each learning an important life lesson from the other? Yes, yes and yes. Obviously. They hate each other so much that only Biff Tannen can separate them. The rules for the odd couple buddy-cop genre are so ancient they were probably handed to Moses along with the Ten Commandments. But audiences know what they're letting themselves in for with something like this so it doesn't really matter that the film is essentially on rails, it's what you do within those rails. The key element to making something like this work is a good comedy partnership, the straight and the clown. Feig has got half of this equation locked down in Melissa McCarthy's Mullins. She's slovenly and slobbish, the frequent joke being that most people don't recognise her as a cop at all. When we first meet her she's busting a john who assumes at first glance that she's a drug dealer. She reaches into the car, drags him through the window and calls his wife to tell her about the prostitute. She gets wrapped up in an impromptu drug bust, culminating in her trying to run the perp down in her car and straddling him on the ground as she angrily rants at him. Back at the station, everyone, including the local Chief (the always nice to see on screen Thomas F. Wilson) is completely petrified of her, letting her order them around with impunity and cowering from her rage. 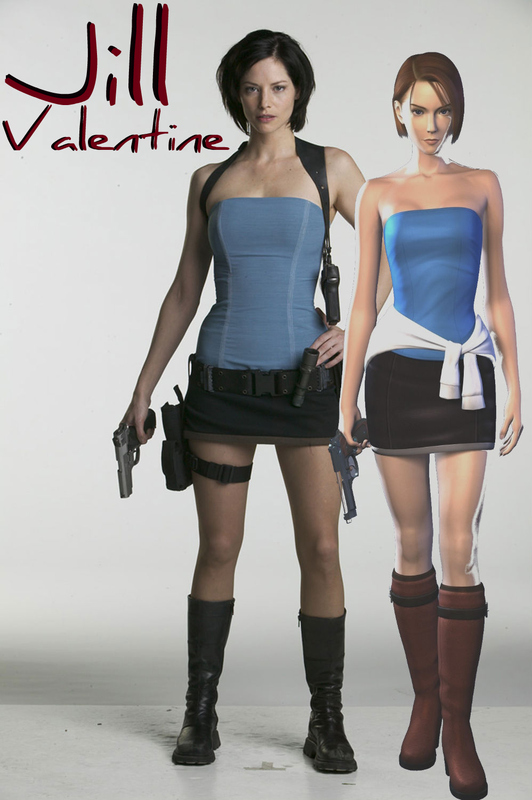 Sandra Bullock looking not unlike Jill Valentine here. McCarthy's Mullins earns this fear and respect, throwing herself into the role with reckless abandon. Even though she repeatedly puts herself in undignified looking situations, her confidence stops us laughing at her. It'd be easy to create a one-note 'angry fat female cop' caricature, but McCarthy creates a proper three-dimensional person, the best gags coming from her indifference to rules, a refusal to follow instructions and a very vague adherence to the law. This makes her genuinely unpredictable and anarchistic - the breath of fresh air in a by the numbers genre flick. And so to Sandra Bullock's Ashburn. We're introduced to her effortlessly and arrogantly outclassing her male colleagues in locating drugs and weapons. She's great at her job - the downside being that she has terrible interpersonal skills and always goes by the book. Compared to McCarthy's Mullins she feels like a half-finished sketch, just a rather thin bundle of neuroses. Part of this is down to Bullock's performance. One of the gags throughout the film is that she never, ever swears, saying things like "bull faeces!". This naturally culminates in a scene where she's pushed too far, and lets loose an awkward foul-mouthed torrent. It just doesn't work, and the single note of prissiness that comprises the character a) never feels realistic for an FBI Agent and b) isn't particularly interesting or funny. A bit more problematic are the tonal shifts. The Heat is a cartoon at times; the moral axis of the film a good guys in white hats, and the bad guys in black kind of deal. Yet there's a definite iffiness when two cops repeatedly torture their suspects for information. It's all played for laughs, yet it's police brutality played for laughs when our heroes are dangling a man by his ankles from a rooftop to get information out of him or playing Russian roulette with the gun jammed into a man's groin. In the same vein is the film's unwillingness to make up its mind how seriously it takes the death of characters. Innocent bystanders getting blown up is treated as a punchline, and Bullock using explosives to murder a room full of 'bad guys' is used as an example of positive character growth. Perhaps I'm taking this light-hearted comedy too seriously, but the film expects us to cheer on this Judge Dredd style of law enforcement and to boo following correct police procedure as 'no fun'. Granted, a movie about the importance of cops following correct procedure sounds pretty damn dull, but these are procedures designed to protect us from the depredations of rogue cops. Mullins fits perfectly in her fictional world, but in the real world she'd be a monster - the worst kind of brutalising, vindictive authority figure. 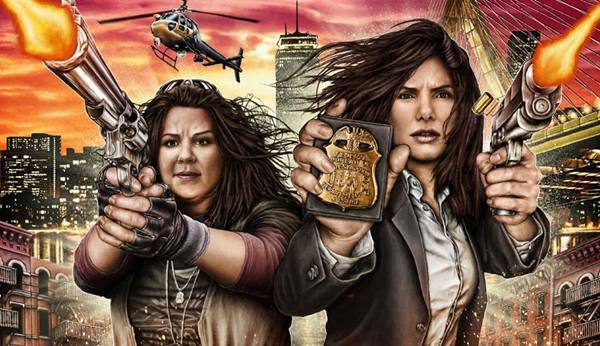 The Heat has a lot of problems; several iffy performances; unconvincing dialogue; scenes that are disconnected sketches rather than organic developments; a paper thin plot, boring direction and some queasy politics. On the plus side it has a surprisingly great soundtrack featuring some of my favourite angry lady rappers Kreayshawn, Angel Haze and Azealia Banks (annoyingly they censor the best lines of 212, the wimps), it shies away from making any obvious jokes about women working as policemen and there's quite a few genuinely decent gags. But the biggest feather in its cap is a great comic performance by Melissa McCarthy, the shining light in an otherwise rather mediocre, toothless and forgettable comedy. The Heat is on general release from July 31st.